Today sees the launch of rising freeriding star Matt Jones’ first production entitled Frames of Mind. The film, which uses gripping rotoscoping techniques, shows how Jones visualizes tricks and pushes MTB freestyle skills to the very limit, providing a fresh view into how elite athletes use sports psychology to compete at the highest level. 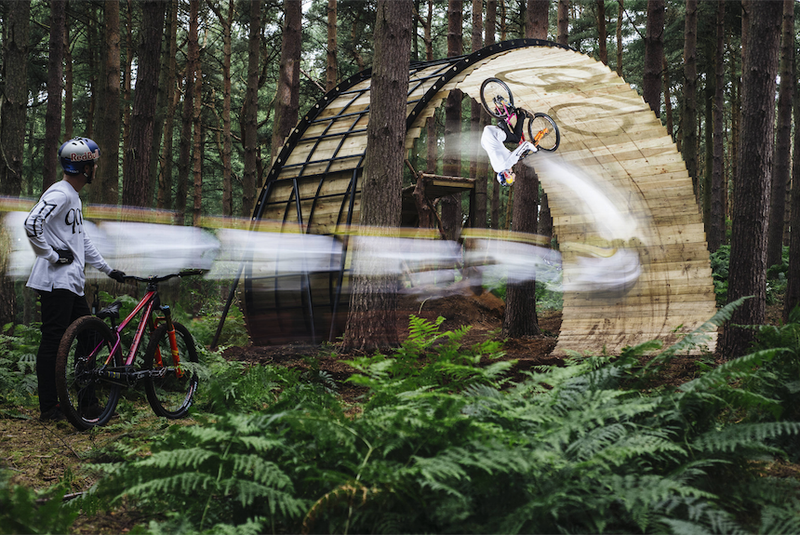 Filmed on his own purpose built trail at the UK’s Rushmere Country Park, the latest film sees Red Bull’s young gun demonstrate unique tricks including world-firsts in freestyle mountain biking: Bum Slide, 270 Rim Bonk, Hitching Post Flip to Feet, Decade Tsunami, Superman Backflip to tuc no-hander. Within the film, an advanced editing technique ‘rotoscoping’ was used by Cut Media to enable the audience to see what going through Matt’s head as he prepared for seemingly impossible tricks. This required an intricate process, cutting out countless sequential frames, in order to create the floating ‘traces’ seen in the final production. It’s a must watch for sure.